VANCOUVER, BRITISH COLUMBIA--(Marketwire - Nov. 27, 2009) - Southern Arc Minerals Inc. (TSX VENTURE:SA) is pleased to announce that it has purchased the 2.0 hectare block of land on which its main Selodong base camp facility is located. This facility is the main base camp for all of the West Lombok Properties. 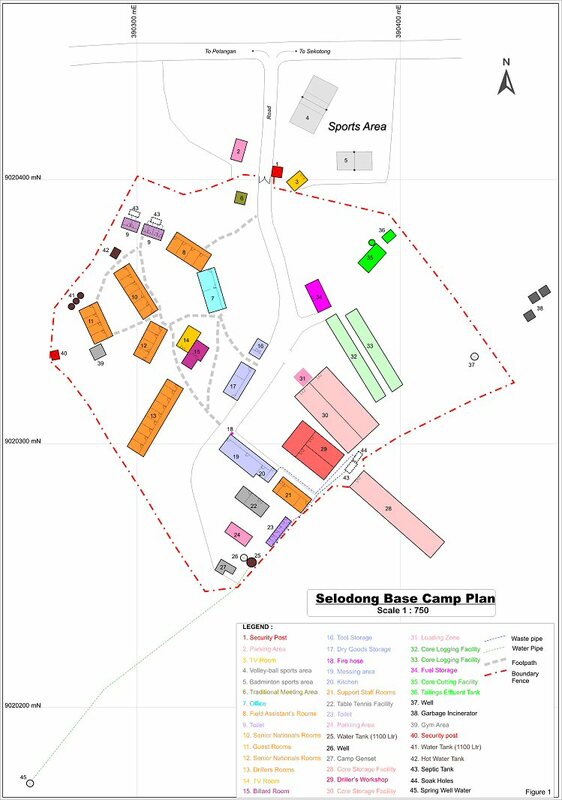 The Selodong base camp (Figure 1) can accommodate up to 80 personnel and is the location from which the Company directs all exploration activities throughout the 18,650 hectare property. This acquisition reflects the Company's commitment to ensuring a smooth transition into the next stage of property development in West Lombok. This next stage of operations will begin when the authorities enact a new provincial land utilization regulation (the Perda), and a Mining Business License (IUP) is granted for the West Lombok Property. The West Lombok Property comprises a 13 km long, northwest trending structural corridor of mineralization and alteration, along which lie the Pelangan Epithermal Gold, Mencanggah Epithermal/Porphyry District and Selodong Porphyry Prospects. Exploration has identified porphyry intrusions and related mineral systems including porphyry copper-gold, high sulfidation gold-copper and mesothermal to epithermal precious-base metal deposits as promising targets.